A13 (Bologna – Padova): exit Padova Sud or Padova Ovest, then SS47 Valsugana (heading to Bassano/Trento) up to Cismon del Grappa. Take SS50bis (direction Feltre/Belluno) up to Arten, then take SS50 to Primiero. A4 (Torino-Trieste) up to Vicenza + A31 (Vicenza -Valdastico) : Take the exit Dueville, then SS47 Valsugana (direction Bassano/Trento) up to Cismon del Grappa. Take SS50bis (direction Feltre/Belluno) up to Arten, then take SS50 to Primiero. A22 (Modena-Verona-Brennero): exit Trento Sud, SS47 Valsugana (direction Bassano/Trento) up to Cismon del Grappa. Take SS50bis (direction Feltre/Belluno) up to Arten, then take SS50 to Primiero. Feltre (FS Padua-Belluno-Calalzo railway): route to Primiero (30 km); from Feltre, a Trentino Trasporti Bus will drive you to Mezzano (bus stop in front of the train station). Trento (FS Verona-Brennero railway): route to Primiero (95 km) by train (Trento – Valsugana way) and then Trentino Trasporti Bus (Borgo V. – Primiero way),the ticket includes the entire route from Trento. Venice: Shuttle-bus from the airport to Venice-Mestre, routes to Primiero (95 km) by train to Feltre or by bus with a straight race (Brusutti company). Treviso: Shuttle-bus from the airport to Treviso, routes to Primiero (70 km) by train or by bus with a straight race (Brusutti company). Milan: Shuttle-bus from the airport to the centre of Milan, route to Primiero (330 km) by train to Feltre or Trento and then by coach with a straight race of Zani company or Trentino Trasporti. 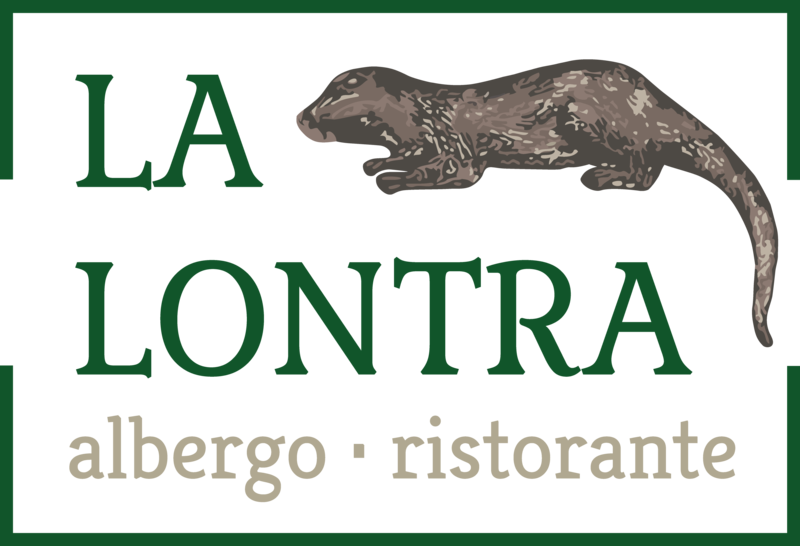 La Lontra Hotel is located in the historical centre, therefore it has no private parking. 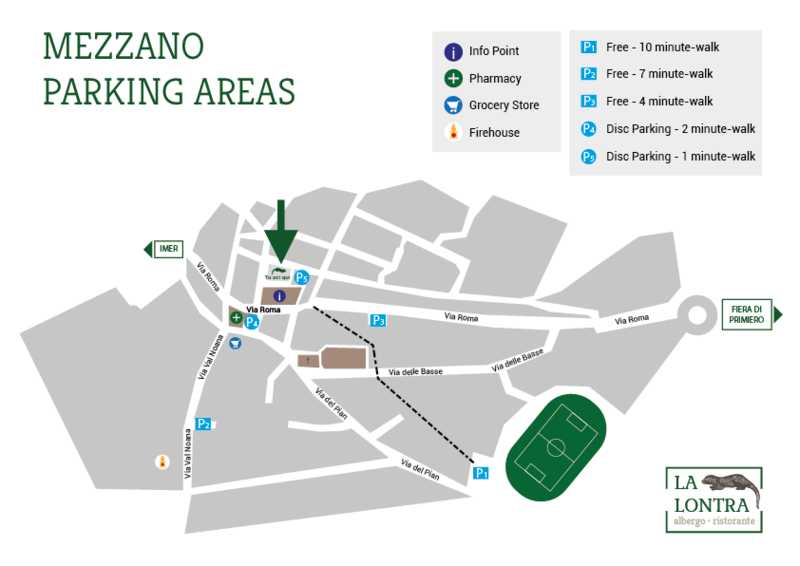 This map will help you to find the best parking solution according to your needs.